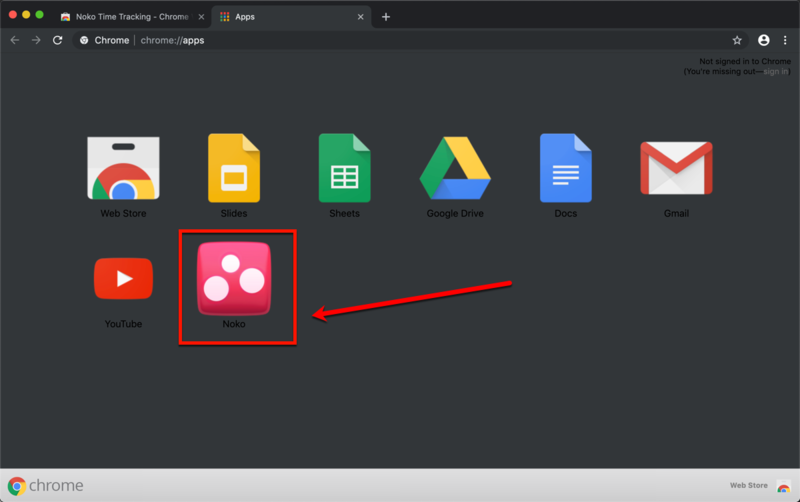 Get Noko as a Chrome app right in your Google Chrome browser or for your Chromebook! It's a free download! Once you've installed Noko from the Chrome Web Store, it's available from your Chrome Apps tab. If you're on Windows, you can also save Noko as an icon directly to your Windows taskbar. Open Noko in Google Chrome. Make sure your Noko window is the focused, most recent one. Once you've followed these steps, you can start Noko with just one click on the Noko icon in the Windows taskbar.